CRIMESolv ArcGIS was developed to help crime analysts perform intelligent analysis on their data. CRIMESolv is easy to use and does not require any prior knowledge or extensive training. Most of the complex analysis like standard deviations, hot spot analysis, time series analysis and others can be performed by a single mouse click. 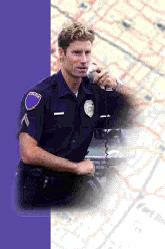 We have done research over several years to provide the types of analysis most commonly used by police departments. One of the most powerful features is the ad hoc reporting tool that can build various types of reports on any combination of available data fields. CRIMESolv is available on Esri ArcGIS Desktop. Officers, Commanders, Sergeants, Captains and other Department personnel can now have quick access to the Calls and Crimes data in a friendly interface using Google or Bing maps. An easy to use data query tool can pull data for any type of crime, for any time period, and jurisdiction. This data is displayed on the map with overlays of the actual local area. Officers find this web application extremely helpful to quickly view crimes in a certain area. Detailed query on data of interest can also be performed. This free product helps the Police departments make their crime data available to the community. In a Google or Bing interface, the general public can view the crimes that are happening in their community. Data is cleansed so as not to conflict with privacy laws. The police departments have the full authority to release or not release any data that they may seem necessary. ARCBridge Consulting & Training, Inc.